Bedankt Rens. Dat is nou net wat ik zocht. Will this work with Internet Explorer 10 also. I followed this instruction in our organization but with no succes. I wouldn’t see why not. 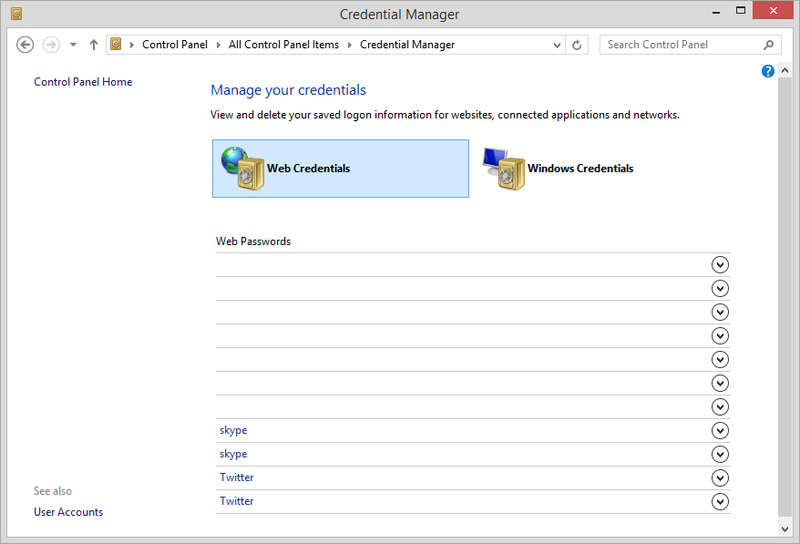 But if you want to find out, try to save your credentials while using REGSHOT, take a shot upfront, and a shot after. Do a compare on registry and file level to see what has changed on your system. This will reveal which registry keys you’ll need to capture and which folders you’ll need to watch. Amazingly, we are trying to save the Registry, but we cannot get anything below IntelliForms to be captured. We see the Storage2 Key, but consistently, it does not get captured. Thanks for your comment. I have experienced that capturing a registry key or tree can sometimes be frustrating. Especially when you are targeting a specific key/value. Something that’s worth the try is to capture the parent key of that key/value. I don’t know which tool you are using to capture these settings, but I have seen this work with RES Workspace Manager for instance. Sure no problem. The template which is provided within RES WM is based on RES’ interpretation what should be saved from the registry and additionally the %appdata%. It’s not sanctifying as I have proven there are certain keys and values that aren’t captured with this template. You can look into the user settings configuration if there are particular exclusions for keys and values on each capture setting you make. Although I don’t have a concrete solution, perhaps monitoring your actions with Process Monitor and or RegShot is worth a try. These are the two key tools I rely on when attempting to discover registry keys and file changes on the system. 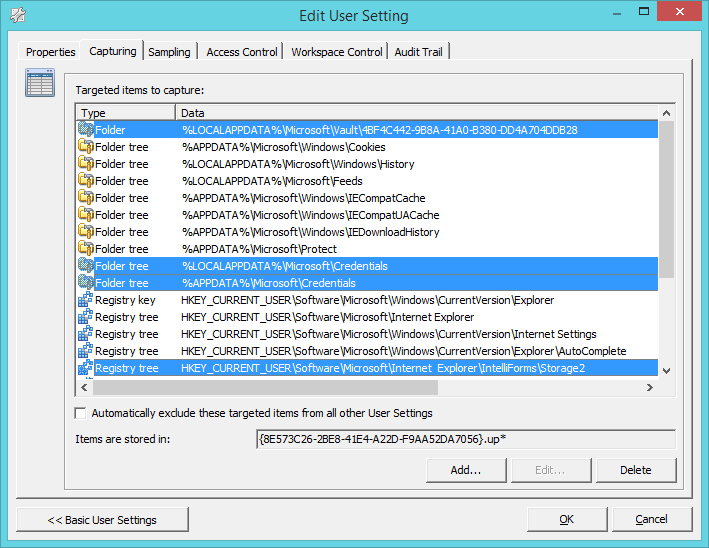 Process Monitor gives you additionally enhanced filtering options while RegShot makes clear which registry keys and or files have been modified between two snapshots. This solution has worked for but now it doesn’t work anymore. Any solution? Hi Ronald, quickest thing to know is, what has changed since? Also, did you by chance upgrade to a different version of RES or operating system? Did you test it with a new / clean profile, did you try to delete the zero profile configuration for this particular application, setting? These are all simple tests to see if something is wrong. Is it possible to also adjust for the users who are working with roaming profiles? I think it is. Using RES Zero Profiles isn’t solely used to replace Windows Profiles, it can also be combined. So you can use Zero Profiles with local, mandatory and roaming profiles. 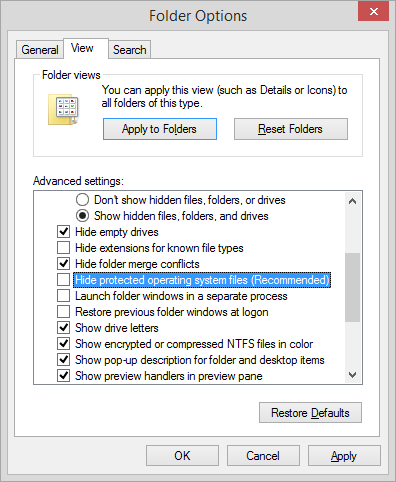 There isn’t any difference in configuring it based on the type of Windows profile you have. Just configure Zero Profiles in RES with the info supplied above.